Quando saiu o sorteio das oitavas de final da UEFA Champions League, parecia que o PSG teria um caminho tranquilo para as quartas de final. Afinal, o PSG havia terminado em primeiro num grupo com Liverpool e Napoli e estava voando na Ligue 1 (was perfect), enquanto o Manchester United vivia seu pior início de temporada na Inglaterra em 28 anos e era incapaz de fazer algo decente dentro de campo. Hoje a história é bem diferente. O PSG perdeu algumas na Ligue 1 e foi desclassificado na Copa da Liga Francesa. Já o Manchester United finalmente demitiu Jose Mourinho e trouxe Ole Gunnar Solskjaer para o seu lugar … e a diferença (até agora) é gritante. São oito partidas com Solskjaer no comando, e oito vitórias. E agora, para piorar a situação do PSG, Neymar lesionou o pé e ficará fora dos gramados até pelo menos o final de março. Isso tira o brasileiro dos dois jogos mais importantes do clube na temporada até o momento: os confrontos das oitavas de final da UEFA Champions League contra o Manchester United. O jogo de ida será no dia 12 de fevereiro e o de volta no dia 6 de março. Coincidentemente, o brasileiro fraturou o pé depois da primeira partida das oitavas de final da última temporada, contra o Real Madrid. O PSG perdeu e teve que se contentar com títulos domésticos, muito pouco para um time que gasta o que o PSG gasta. É claro que o virtual campeão francês tem plenas chances de passar pelo United. Afinal, o seu melhor jogador (Kylian Mbappé) continua no time, assim como o matador Cavani. Porém, se o PSG cair diante dos Red Devils, será mais uma temporada em que não vemos Neymar nos jogos mais importantes do PSG desde que chegou. Sem contar que existe a possibilidade de Neymar precisar de cirurgia, algo que ainda não foi definido. Caso faça, deverá perder o restante da temporada. When the draw for the UEFA Champions League round of 16 came out, it looked like PSG would have an easy path to the quarter-finals. Afterall, PSG had finished first in a group with Liverpool and Napoli and was flying in Ligue 1, while Manchester United was going through its worst start of a season in England in 28 years and was incapable of doing anything decent on the field. PSG lost a few points in Ligue 1 (they were perfect) and lost in the Coup de la Ligue. Meanwhile, Manchester United finally fired Jose Mourinho and brought in Ole Gunnar Solskjaer … the difference (so far) is huge. Solskjaer has led them in eight matches, with eight wins. ANd now, to worsen PSG’s situation, Neymar has injured his foot and will be out until at least the end of March. That takes the Brazilian out of the club’s two most important games of the season till this time: the UEFA Champions League round of 16 matches against Manchester United. The first leg will be played on February 12th and the second leg on March 6th. Coincidently, the Brazilian fractured his foot after the first leg of last year’s round of 16 against Real Madrid. PSG lost and had to do with domestic titles, which is not enough for a team that spends like PSG. Of course that the virtual French champions have plenty of chances to get through United. Afterall, their best player (Kylian Mbappé) is still there, as is goalscorer Cavani. 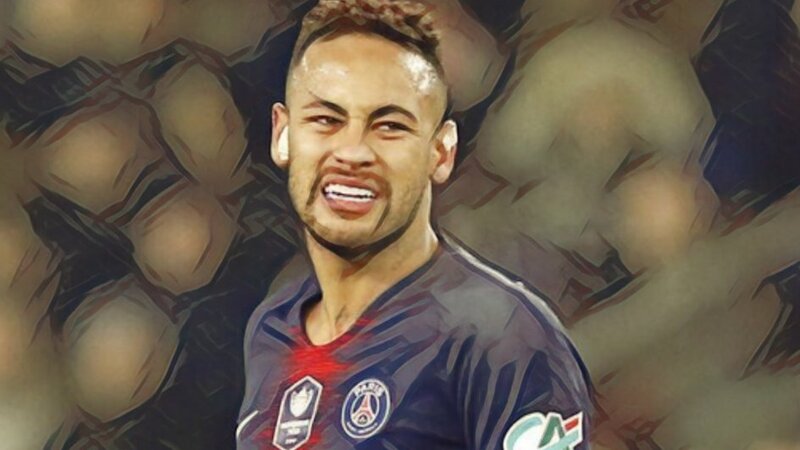 However, if PSG fall against the Red Devils, it will be another season in which we do not have Neymar in the club’s most important games, since he arrived in Paris. Not counting the fact that there is a possibility of Neymar needing surgery, which has not yet been decided. In case he does, he may miss the rest of the season.